Mount Horeb - Kenneth N. Cole, age 72, passed away on Saturday, April 25, 2015, at his home in Mount Horeb. Ken was born on February 27, 1943, in Cincinnati, Ohio. He was the son of Kenneth L. and Minnie M. (Hamm) Cole. Ken grew up in Madison, Wisconsin, and received his degree in economics from the U.W.-Madison. 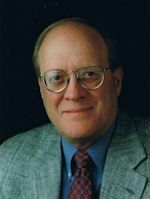 He was employed by the State of Wisconsin Job Service for several years before leaving to join the Wisconsin Association of School Boards in 1968, retiring in 2005 after 37 years with the WASB, the last 17 as its executive director. During his career, Ken was privileged to work with school board members and school administrators throughout the State in advocating for the interests of Wisconsin's public school students. Ken enjoyed reminiscing about his extensive travels and the people he met and with whom he worked. Ken married Elise Barnhart on August 31, 1991, and they were blessed with abiding love, laughter, and companionship. Ken is survived by Elise and their five children--Kellie (Brian) Scott, Marcus (Collette) Cole, and Claire, Christian, and Cameron Cole. He is also survived by grandchildren Michael Scott, Matthew Scott, and Bella Cole and additionally by his sister Jeanne and brother-in-law Jerry Whitfield; sister-in-law and brother-in-law John and Mary Ellen Feuling; brother-in-law and sister-in-law Eric and Jodi Barnhart, as well as by two nephews and five nieces; and other extended family members. Ken was preceded in death by his parents, Ken and Minnie Cole; and his father-in-law and mother-in law, Karl and Joette Barnhart. A gathering of family and friends will be held on Sunday, May 3, 2015, from 10:00 a.m. until noon at Cress Funeral Home, 3610 Speedway Drive in Madison. A service celebrating Ken's life will follow as will a luncheon, also at Cress. Ken's family wishes to thank Dr. David Hei, Dr. Mark Juckett, Family Nurse Practitioner Linda Eckstein, and Dr. Kristin Bradley of the Carbone Cancer Center for their expertise and determination in treating Ken's cancer so aggressively in pursuit of a sustained remission. We also thank the wonderful nurses and nursing assistants at 1 S. Park Street, Meriter Hospital, and University Hospital and Clinics for their care and compassion. Ken fought hard and endured so much for a chance at more time with his family, which he cherished, and he will be in our grateful hearts forever. The family also wishes to thank the amazing nurses and nursing assistants of Agrace Hospice Care for making Ken as comfortable as possible during the last weeks of his life. Memorials may be directed to the UW Carbone Cancer Center (600 Highland Avenue, Madison, WI 53792-6164); Agrace Hospice Care (5395 E. Cheryl Parkway, Madison, WI 53711); or Second Harvest Food Bank of Southern Wisconsin (2802 Dairy Drive, Madison, WI 53718).